Every now and then we find ourselves craving those delicious sweets. But when you are trying to make healthier choices, indulging in sweet baked goods can leave you feeling sick and bloated. Many baked goods are filled with unbelievable amounts of sugar and butters – that is why they are so bad for us. So, what can you eat when you need that fix of chocolate but don’t want to break your healthy-eating stride? Why not try a dessert recipe that has been made healthy! When we take the time to find a recipe that reduces or eliminates sugars and fats, we can feel better about what we do on our “cheat” days. 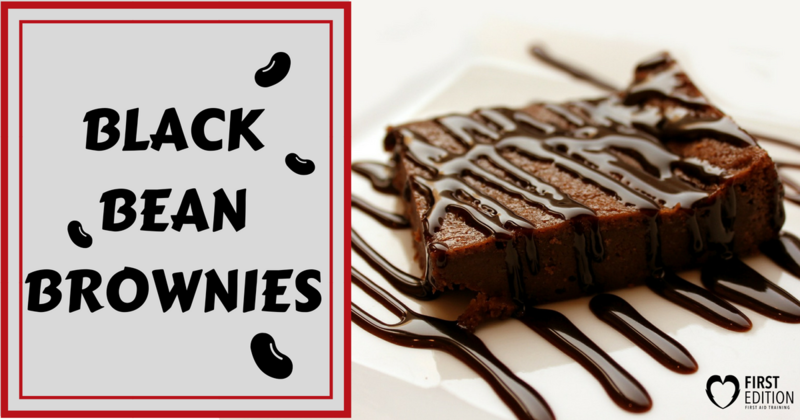 Take, for instance, these healthy alternative Black Bean Brownies! This recipe reduces the amount of sugars and instead only has a small amount of chocolate chips (something you can definitely allow yourself every once in a while!). Instead of using granulated or brown sugars, this recipe uses natural sugars like honey or agave and a small amount of stevia. What makes these brownies even better is that they are a low total of 115 calories per brownie! The next time you get that sweet-tooth craving and can’t resist, make these tasty brownies! Combine all of the ingredients (except the chocolate chips) into a food processor and blend the ingredients until the mixture is smooth. Stir the chocolate chips into the mixture. Pour the brownie mixture into an 8×8 greased baking pan. Bake the brownies for 15-18 minutes and then let cool for 10 minutes. NOTE: If the brownies seem undercooked, place them into the fridge overnight and the brownies will harden and be ready to eat the next day! A big thank you to ChocolateCoveredKatie.com for this amazing and mouth-watering brownie recipe-made-healthy! Now go and indulge that craving!